Acupuncture That Works Cheshire › Why choose us? As Acupuncture becomes recognised on a wider basis as a help with issues such as muscle pain, skeletal problems, backs, neck and shoulder problems and general pain relief, more people than ever are keen to understand what the differences are between different types of acupuncturists. Typically, you can differentiate between a ‘western’ trained acupuncturist and an ‘eastern’ or Traditional Chinese Medicine (TCM) trained acupuncturist, by just asking a few simple questions. Most ‘western’ trained acupuncturists will complete a course after their normal professional qualifications as a doctor, chiropractor or physiotherapist, which generally lasts for no more than six days. This course then allows them to practice acupuncture as an additional service to the main services they provide. An ‘eastern’ trained or TCM acupuncturist will be trained for between two to three years, specifically on Chinese acupuncture, theory and diagnosis before qualifying. This makes them specialists in the study and practice of acupuncture. Well, imagine if you will two professional mechanics. Both are trained and qualified but one has been on a two-day course to learn how to service your BMW and the other services BMW’s day in day out. Both are equally competent but which would you prefer to service your BMW? Acupuncture originated thousands of years ago in China and traditional Chinese medicine acupuncture is a vital part of Chinese medicine. Practitioners recognise that there are 14 channels or meridians on the body with around 360 acupuncture points and many extra points on the body, ears and scalp that have been developed over the years. The principal is that there is ‘Qi’, which is described as an energy force that flows through the channels or meridians freely. If any of these channels or meridians becomes blocked, Qi will not be able to run freely and therefore cause disharmony of the body, typically manifesting as pain. TCM acupuncture unblocks the Qi and helps restore harmony or balance back within the channels or meridians. Chinese medicine acupuncture points have evolved over thousands of years and now are recognised as precise points to stimulate the nervous system. 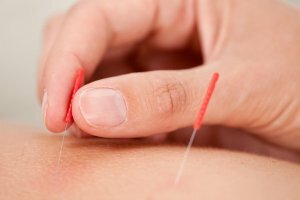 There are many forms of acupuncture techniques such as TCM, Five Elements, Western and Japanese acupuncture and The British Acupuncture Council (BAcC) has embraced ‘unity in diversity’ across this variety within the profession. Today, more and more evidence based clinical research shows that acupuncture is a safe way to help a wide range of common health issues which in turn has led to it becoming more accepted. At Acupuncture That Works, all our acupuncturists are TCM trained and some hold other professional qualifications as well. Because of this we not only offer a TCM acupuncture service but we can also offer physiotherapy, Reiki, Tuina and reflexology. Our aim is to balance the Qi (energy) to help you lead a more balanced life.